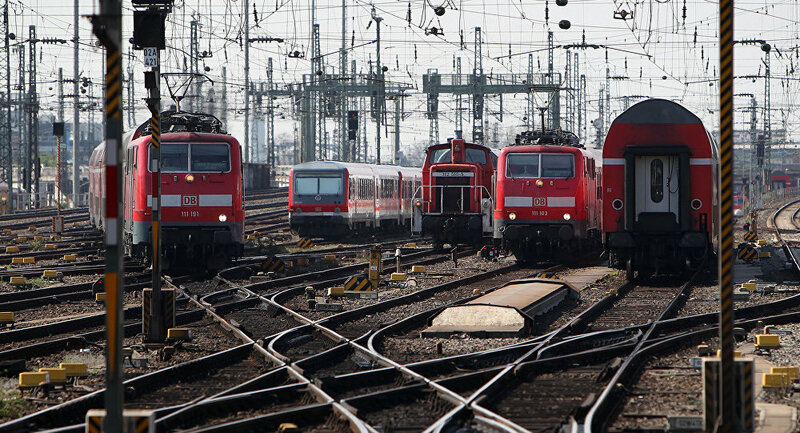 Major German rail operator Deutsche Bahn as well as Deutsche Telekom are halting their business in Iran since Washington slapped new limitations on Tehran last week, stipulating that firms having business ties with the Islamic Republic would be barred from doing business with the US. State-owned Deutsche Bahn is essentially carrying out two business projects throughout the country via its subsidiary DB Engineering & Consulting, both of which will be terminated in August and September 2018 respectively, according to the company’s spokeswoman. "Due to the altered banking practice we have sought to bring the contract to an amicable and timely conclusion," she added. In a separate move, Detecon, a subsidiary of T-Systems —Deutsche Telekom's IT services arm – has also terminated business in Iran, in light of the “sensitivity in relations with Iran worldwide,” a spokesperson remarked. After the first round of US sanctions took effect last week, a number of European businesses suspended plans to inject funds into Iran for fear of US sanctions, with oil titan Total as well as carmakers PSA, Renault and Daimler being among them. The European Union had earlier vowed to resist US sanctions on Tehran, floating ideas to implement legislation allowing EU companies not to comply with the US demands and continue trading with Iran in, for instance, non-dollar denominated currencies to avoid penalties. The second round of sanctions is likely to be reintroduced in autumn as part of President Trump’s decision to withdraw from the landmark 2015 nuclear agreement with Iran, which at that time stipulated easing sanctions on Iran in exchange for the eventual ditching of its nuclear program.